The Kozmetsky Center promotes comprehensive multi-disciplinary approaches to subjects that impact global security. Learn about how our conferences tackle critical issues, such as the religion-security nexus. The issues of borders and border security stand at the center of both United States and global policy relevance. The Kozmetsky Center is delighted to hold two full days of discussion on the topic of the geopolitics of border security in April 2019 featuring participation of distinguished expert speakers and subject area academics representing a broad range of international perspectives and approaches to the study of borders and border security. 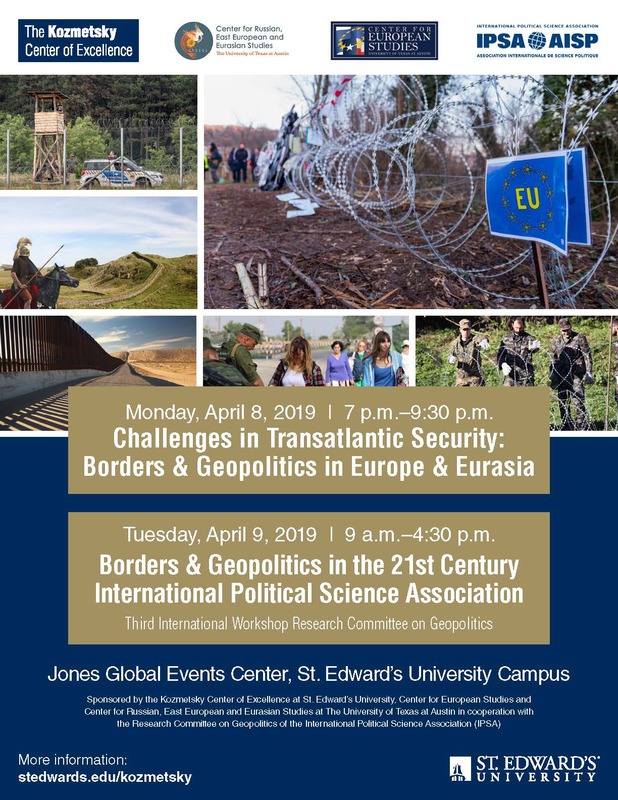 On Monday April 8, the Kozmetsky Center will co-host an evening forum entitled, “Challenges in Transatlantic Security: Borders & Geopolitics in Europe & Eurasia” to be held in the Jones Global Events Center on the St. Edward’s University campus, 7:00-9:30 PM. This event will be the fifth in our annual collaborative multi-year conference series in transatlantic security held in cooperation with the Center for Europe and Center for Russian, East European and Eurasian Studies at the University of Texas, Austin funded with support of a grant by the United States Department of Education Title VI National Resource Program. On Tuesday April 9, the Kozmetsky Center will host the interim session of the International Political Science Association (IPSA) Third International Workshop on Geopolitics devoted to the topic “Borders and Geopolitics of the 21st Century” also to be convened on our campus in the Jones Global Events Center at 9:30 AM-4:30 PM. The IPSA session will feature paper presentations by academics traveling to Austin from nations throughout the world community offering research methods, case studies and international perspectives on topics of geopolitics and border security. Given the proximity of Austin Texas to the US-Mexico border, the IPSA Workshop will also invite contributions from academic experts and students affiliated with both St. Edward’s University and the University of Texas, Austin working on issues of border security and geopolitics in the Western Hemisphere and beyond providing additional comparative context for the session. We very much hope to engage our faculty and students throughout the campus to participate in these sessions raising questions and offering perspectives and contributions to the discussions that promise to be quite fascinating and useful for broadening knowledge and understanding on issues of critical concern to all our nations. The Kozmetsky Center at St. Edward’s University is pleased to announce the appointment of Dr. Teodor “Teo” Moga of the University of Iasi in Romania as Visiting International Scholar for April 8-12, 2019 at St. Edward’s University in Austin, Texas. Dr. Moga earned his PhD in Economics and International Relations at the University of Iasi and a MA in Political Science at the University of Manchester (United Kingdom) where he was a Chevening Scholar. In 2014-2015, Dr. Moga received the Swiss Government Excellence Scholarship to pursue a post-doctoral program at the University St. Gallen in Switzerland. Professor Moga previously worked for the European Commission, British Embassy (Bucharest, Romania) and held appointments at the European Union Institute for Security Studies (Paris, France), the George C. Marshall European Center for Security Studies (Garmisch-Partenkirchen, Germany) and the Romanian Academy of Science. His research interests include EU foreign affairs, NATO, EU-Russia relations, European Neighborhood Policy, and Eastern Partnership- Ukraine. His most recent publications include “The Role of Bounded Rationality in Explaining the European Neighbourhood Policy: The Eastern Dimension” (Theorizing the ENP, Gstöhl, S., Schunz, S. (Eds. ), Routledge, 2017) and “The Ukrainian-Russian Linguistic Dyad and its Impact on National Identity in Ukraine” (Europe-Asia Studies, forthcoming January 2019, 71 (1), https://doi.org/10.1080/09668136.2018.1549653). 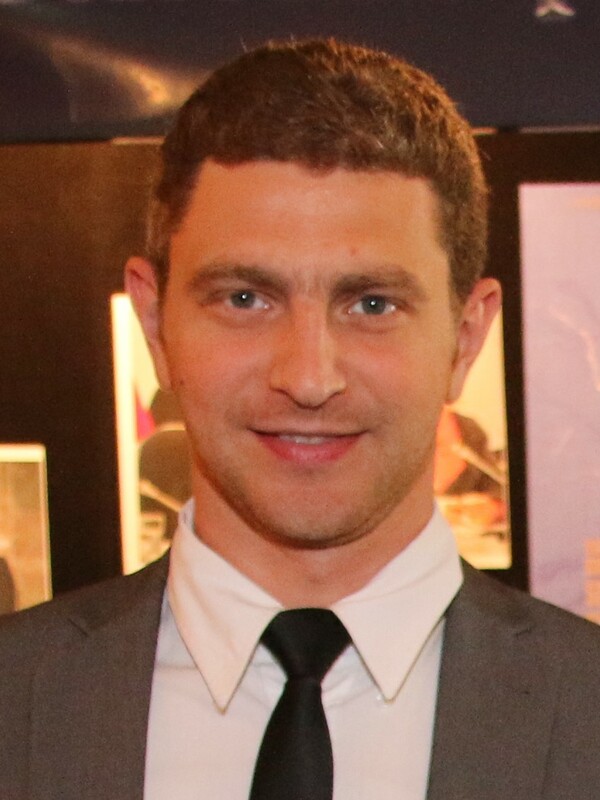 He is also the principle organizer of the “EURINT conference series” among the leading events in Central and Eastern Europe dedicated to analysis of European Union foreign policy strategy in the Eastern neighborhood. Please click here to see the Spring 2019 Council of Foreign Relations Conference Call Series. These conference calls are open to all students; please RSVP to Joseph Sadek [jsadek [at] stedwards.edu] if you would like to attend.